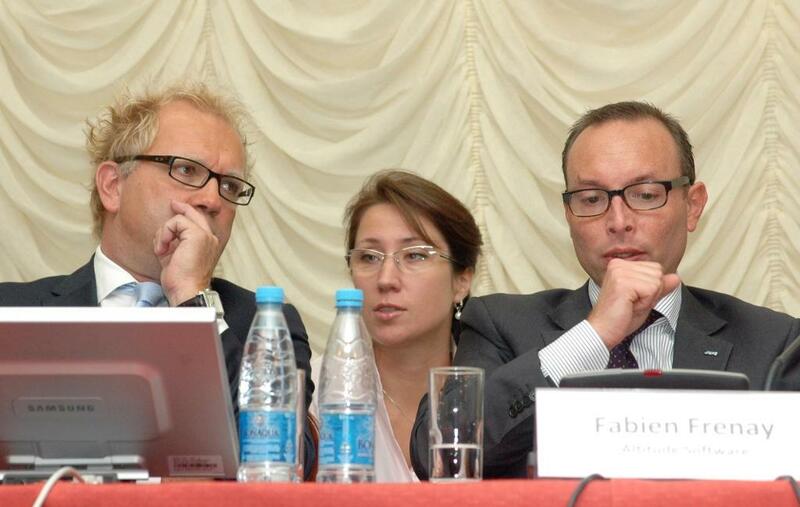 Ukraine-Europe offers consecutive interpreration services. Consecutive interpretation is oral interpretation with pauses when an interpreter at first hears the source language phrase and then interprets it into the target language. This is a usual type of interpretation which is widely used at business negotiations, exhibitions, banquets, excursions and other official and non-official events when there is a need to interpret a dialogue. Such type of interpretation is very effective when negotiations have a mobile character with a lot of traveling involved like working at industrial enterprises, negotiations with further sightseeing, etc. Apart from the language and subject field knowledge as well as the ability to perceive a foreign language, the consecutive interpretation requires self-control, self-confidence to perform in front of the audience, the right-pitched voice, pronunciation, tact, pleasant appearance and other communicative and personal qualities and skills. Ukraine-Europe is led by these standards, thus providing professional consecutive interpretation of all levels of complexity. one qualified interpreter is enough in comparison with simultaneous interpretation where two specialists need to be involved. because of pauses, the event lasts longer.